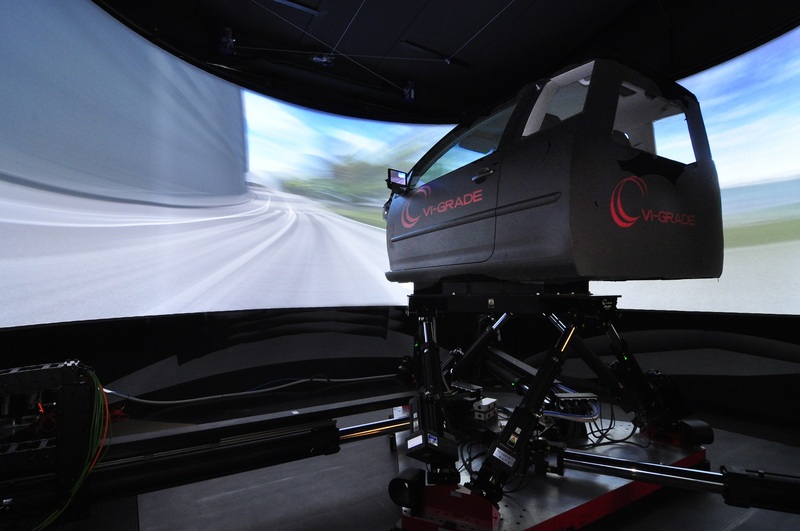 German automotive manufacturer places order for Driver-in-Motion simulation technology for early development testing on new vehicles. Mercedes-AMG has chosen the newly developed motion platform named DiM250 (Driver-in-Motion) designed by VI-grade and engineered and manufactured by Saginomiya. The driving simulator, equipped with an AMG car cockpit, will be installed at the Mercedes-AMG site in Affalterbach, Baden-Württemberg, Germany, in the second half of 2018 and will be used to virtually optimise the dynamic behaviour of all passenger vehicles developed and marketed by Mercedes-AMG. Mercedes-AMG visited VI-grade’s SimCenter in Udine, Italy several times before they decided to use the DiM technology. They tried the DiM technology on the Nordschleife circuit with a professional driver on an outgoing car project which is currently in the development phase. “One of the main aspects that led to our decision to adopt the DiM250 driving simulator was that our driver was able to reproduce almost the same lap time on the simulator as in reality. We will use DiM250 primarily for vehicle dynamics applications, therefore evaluating and optimising the performance of our cars not only on proving grounds and racing circuits, but also on the simulator earlier in the process”, said Tobias Moers, CEO, Mercedes-AMG. To reproduce vehicle movements and accelerations, the DiM simulator takes a different path into driving simulation and is based on a patented, revolutionary design that has nine actuators. The resulting 9 degrees of freedom configuration enables it to go beyond the basic six actuators design of a simple hexapod, providing a larger workspace whilst maintaining high stiffness. This leads to a system suitable for low as well as for high frequencies, as appearing in automotive chassis design. Therefore, the DiM platform enables users to investigate both vehicle dynamics and ride and comfort on the same motion platform. The DiM250 configuration provides an extended workspace with respect to the standard DiM150 configuration already installed 9 other times all over the world, guaranteeing an improved driving experience, still within the compact dimensions that characterise all DiM driving simulators.